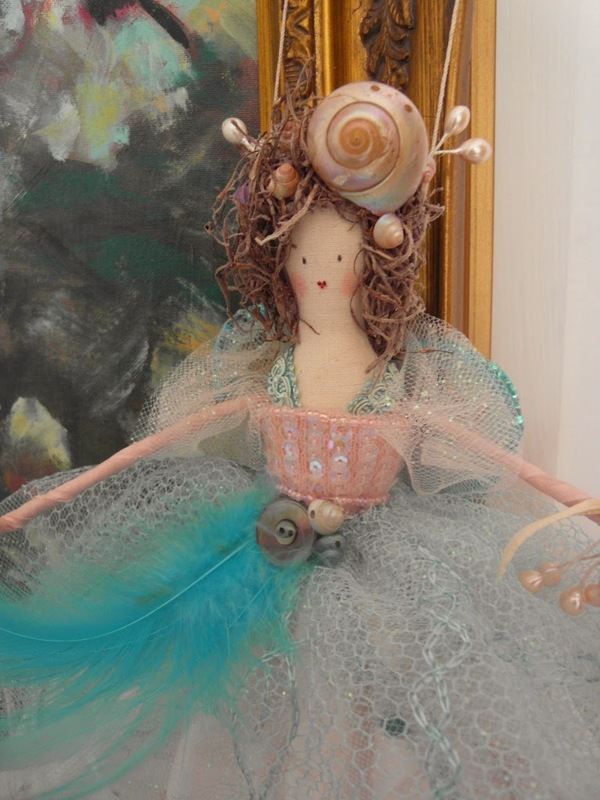 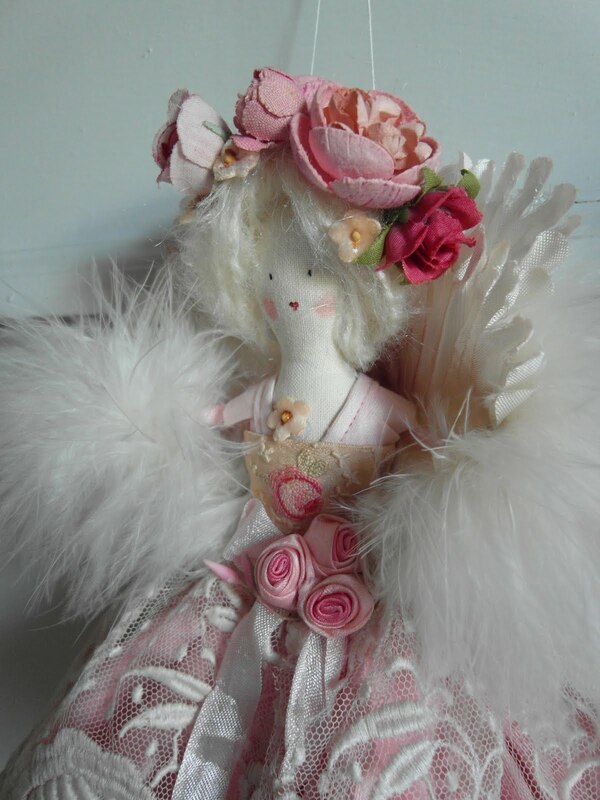 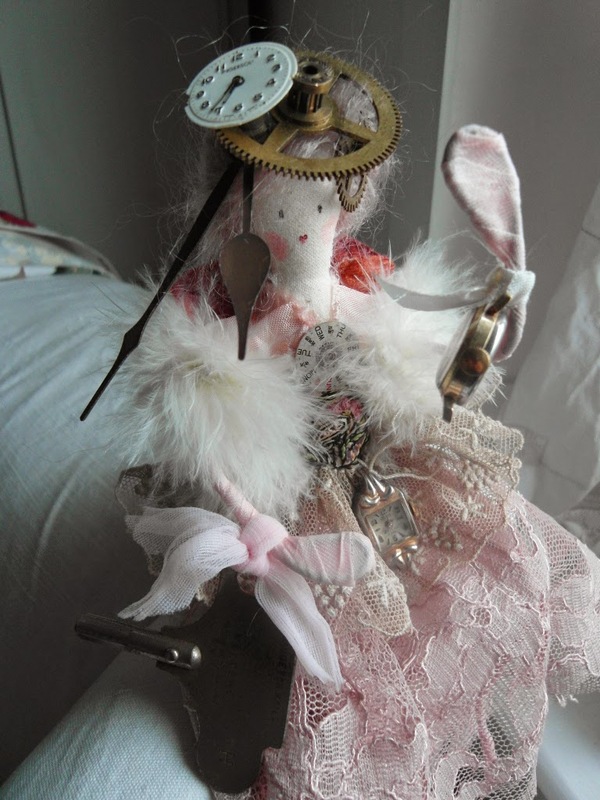 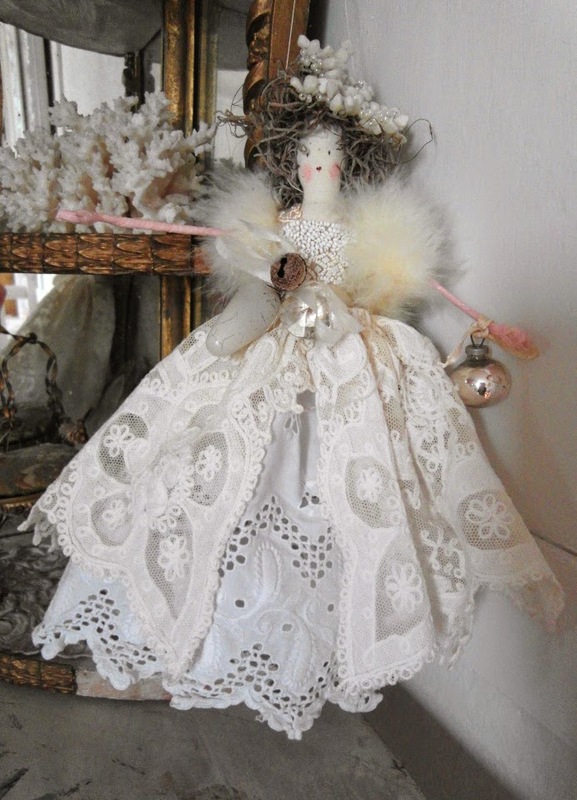 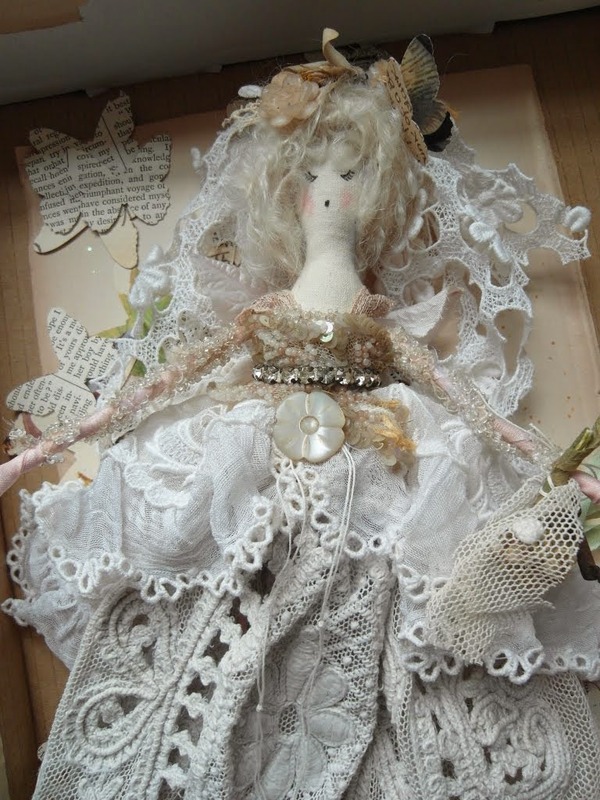 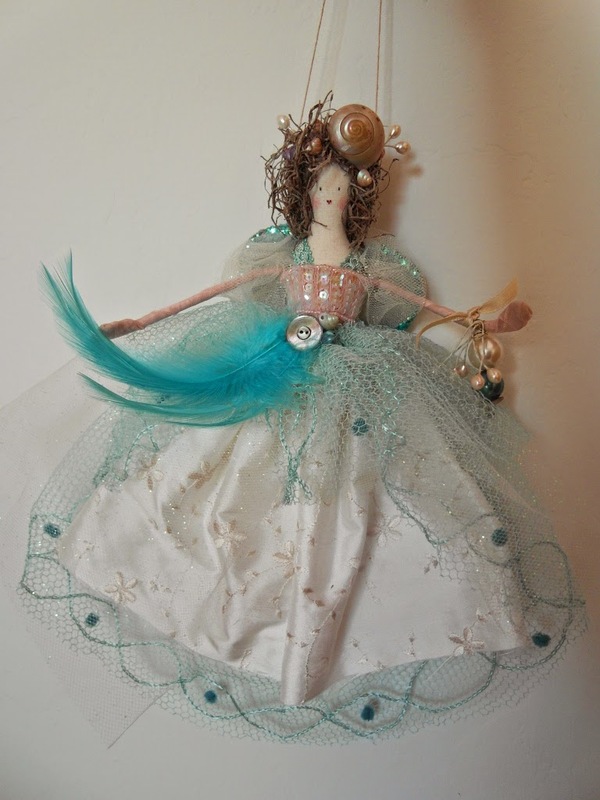 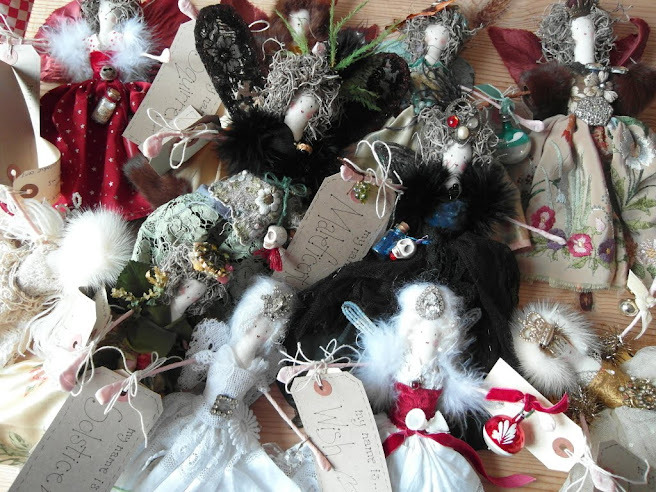 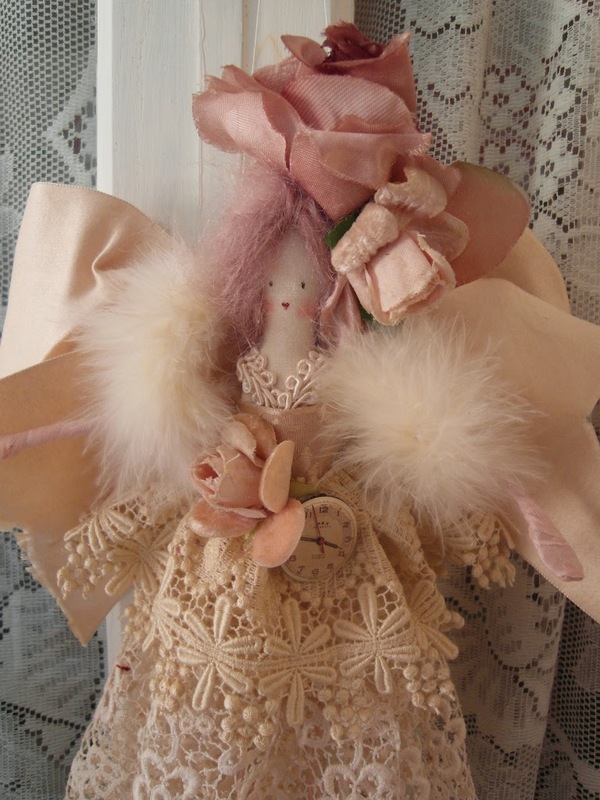 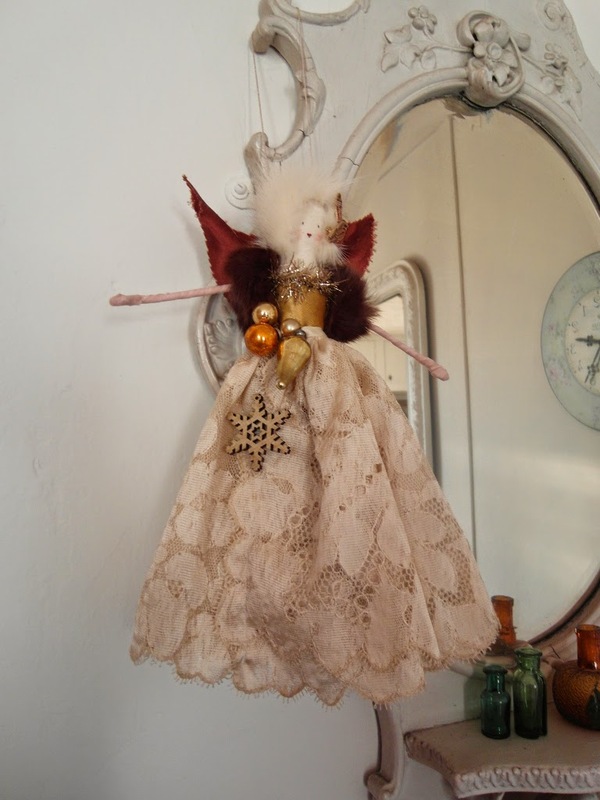 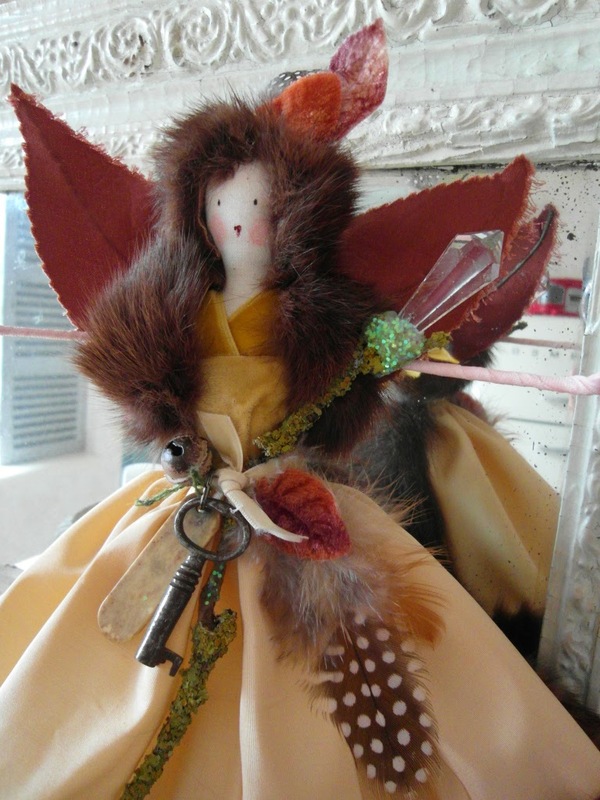 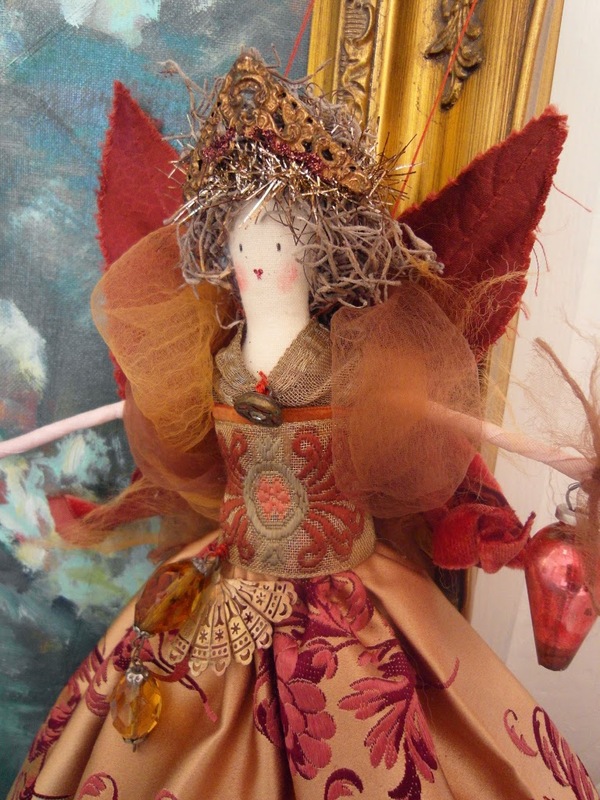 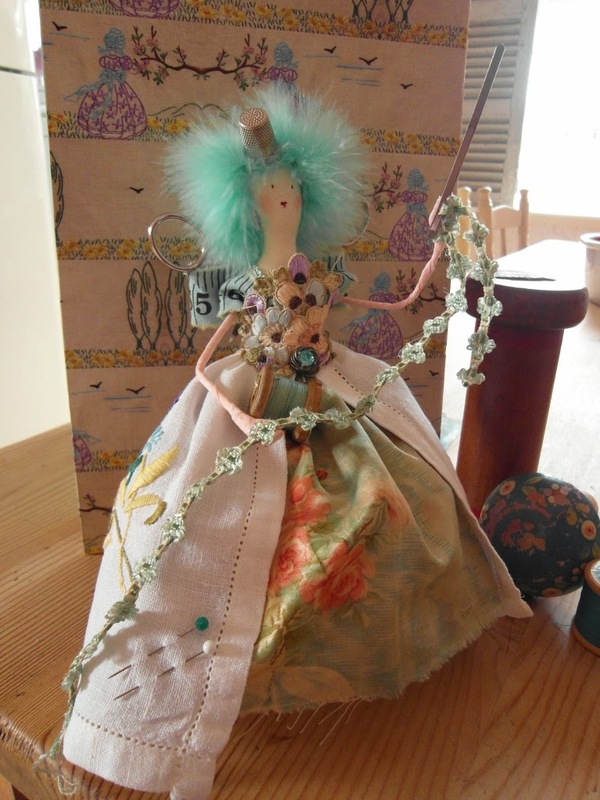 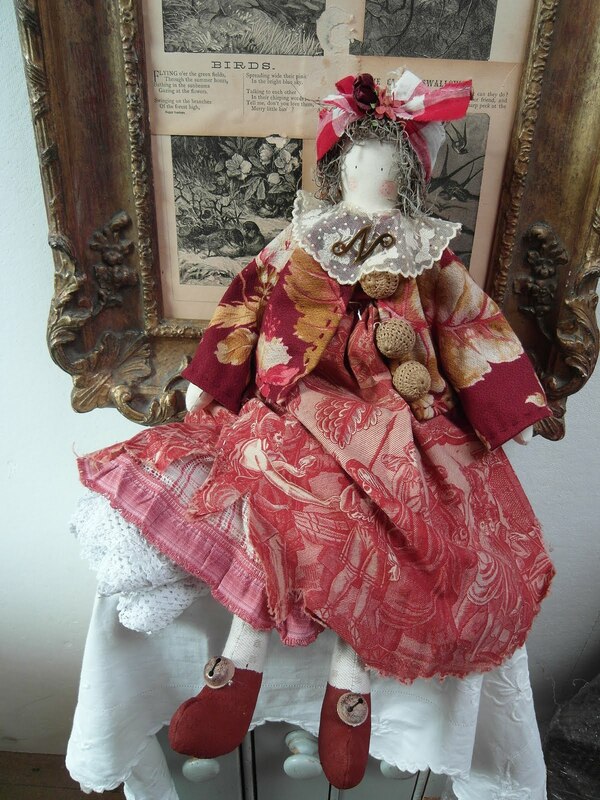 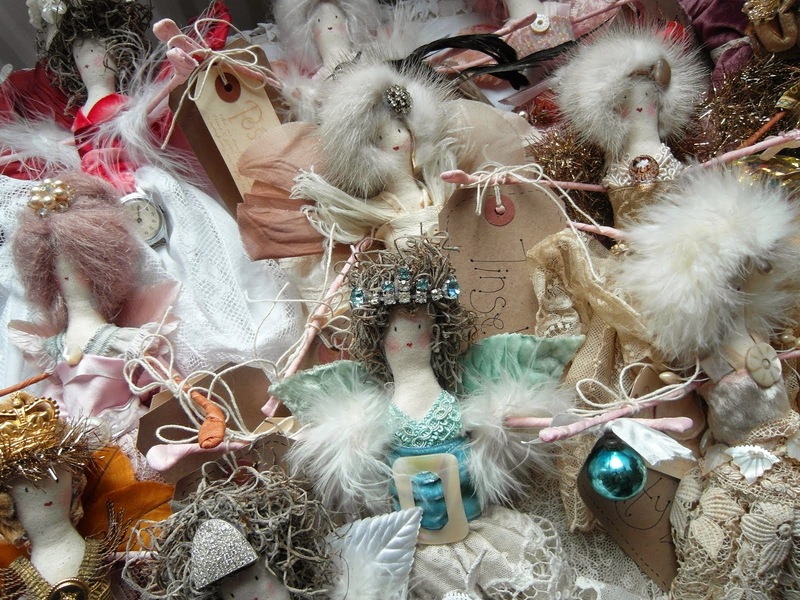 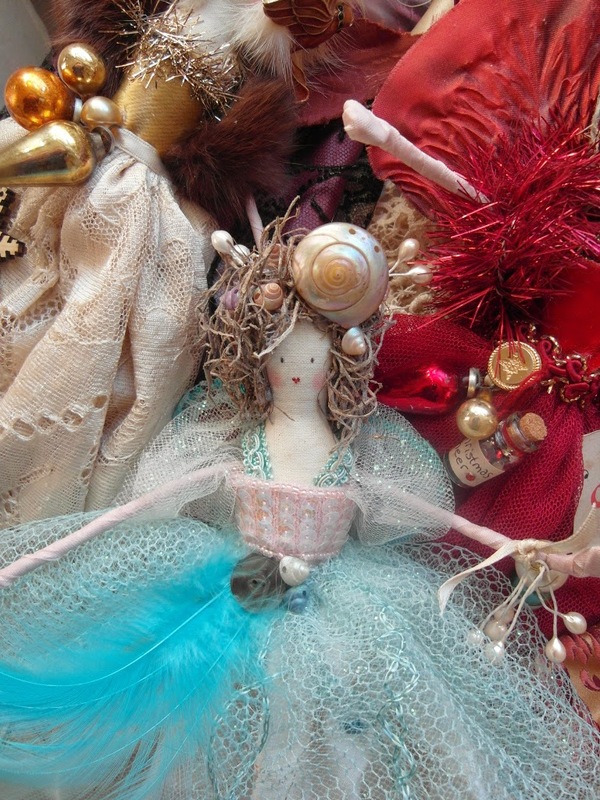 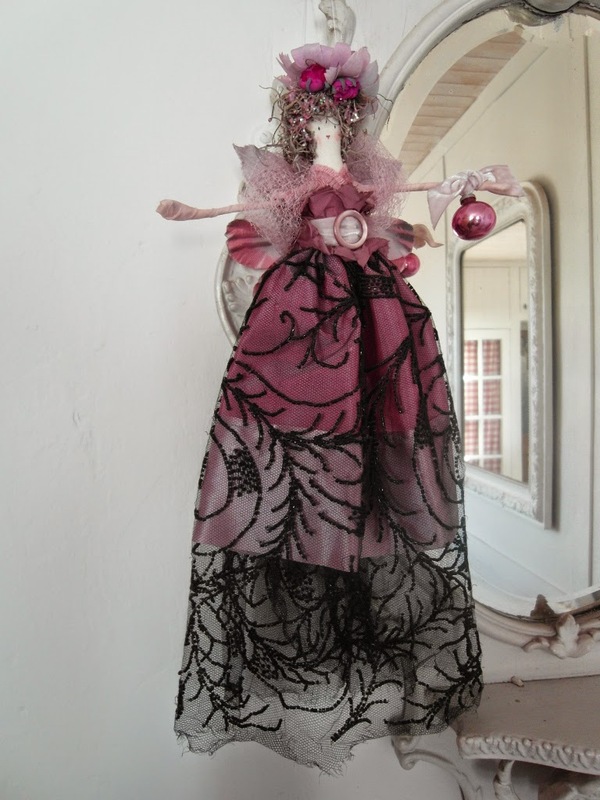 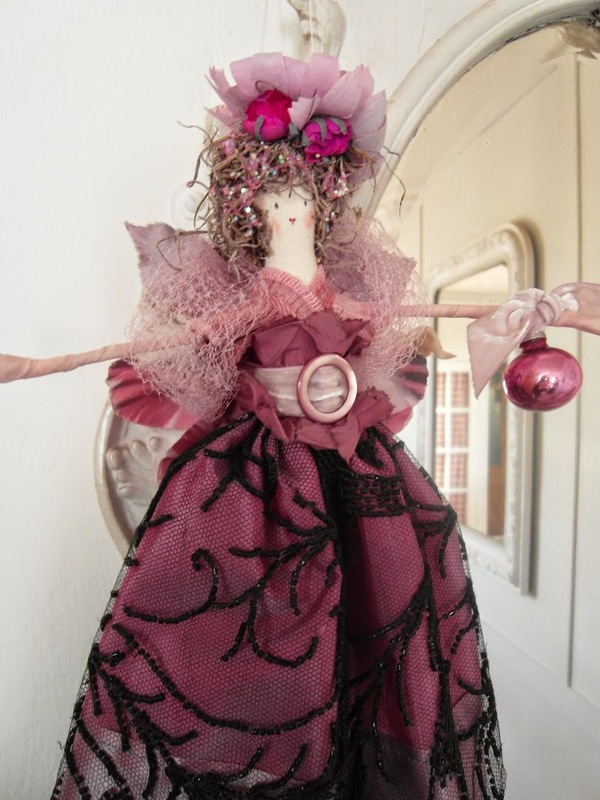 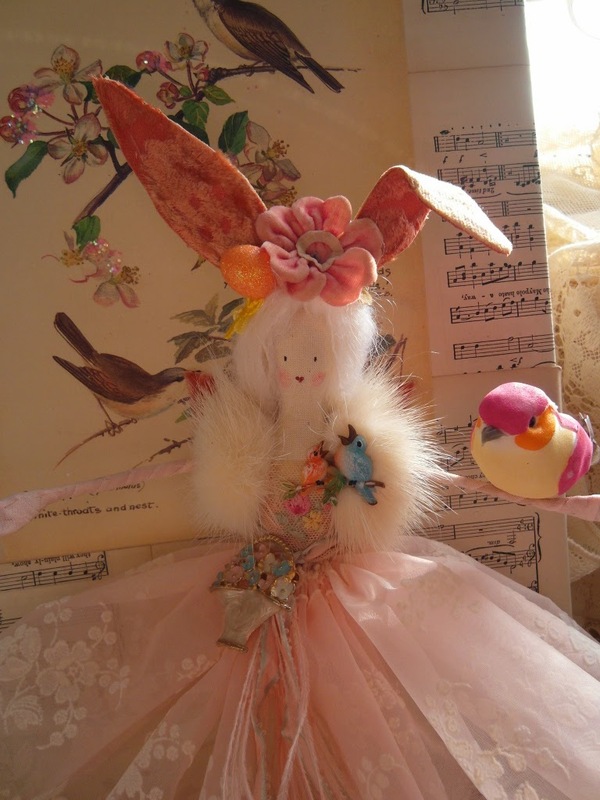 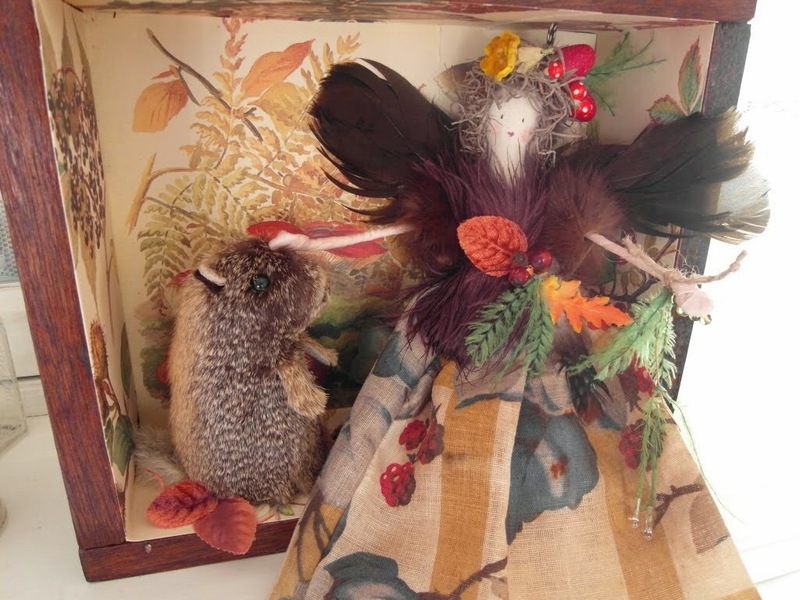 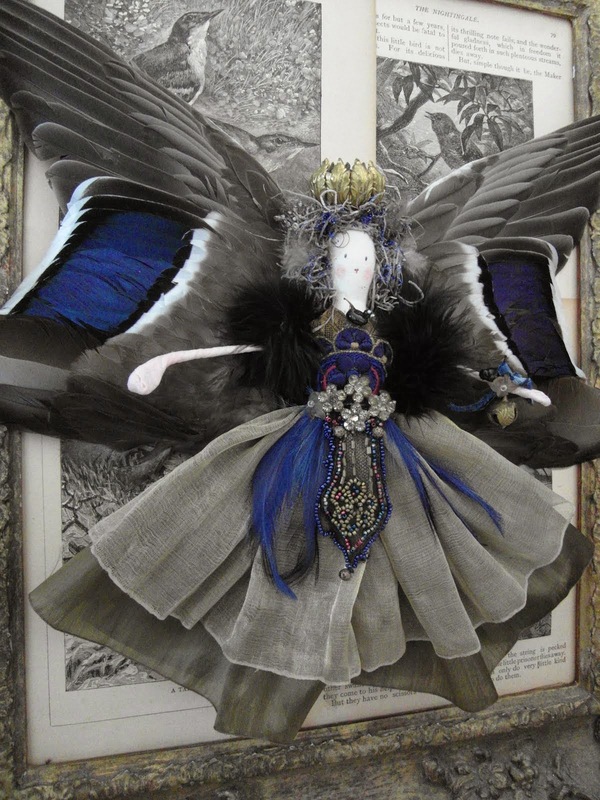 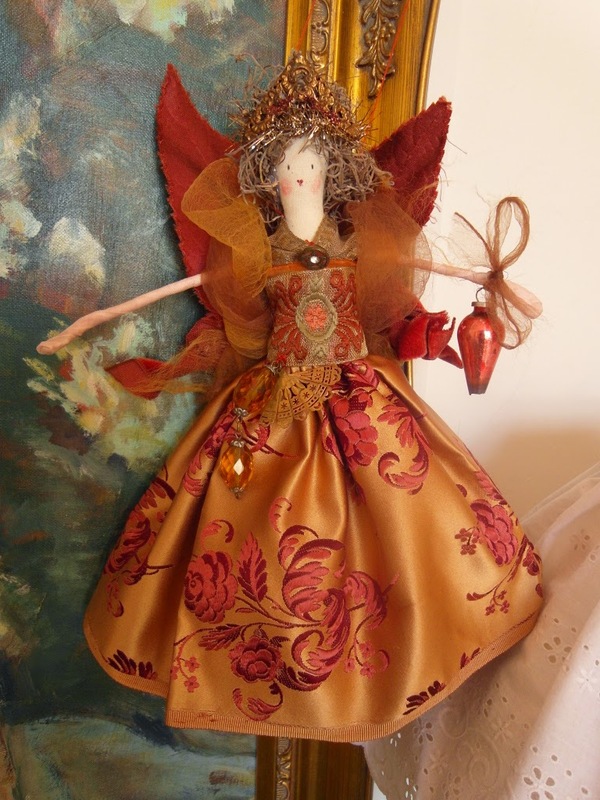 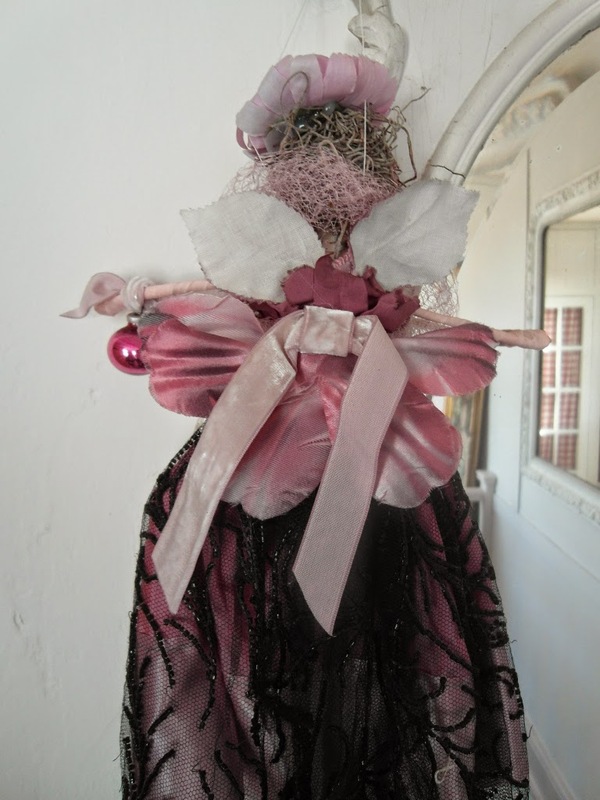 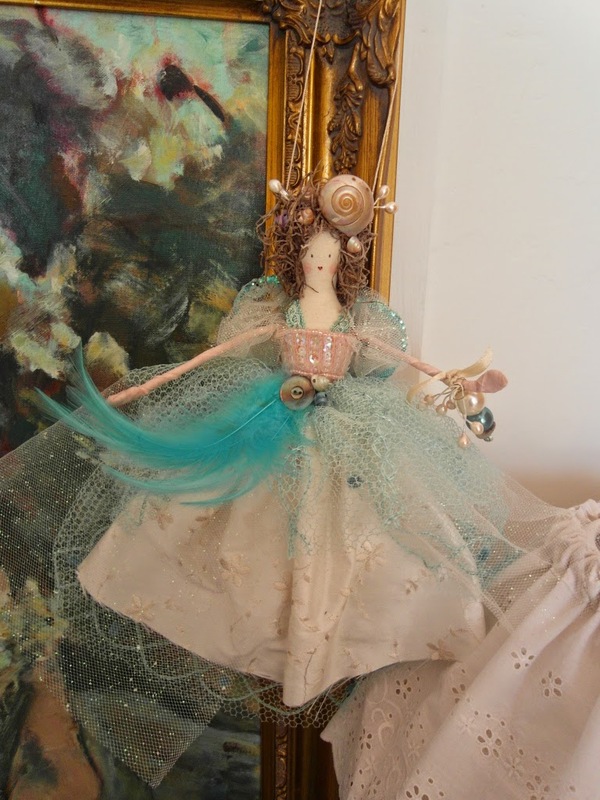 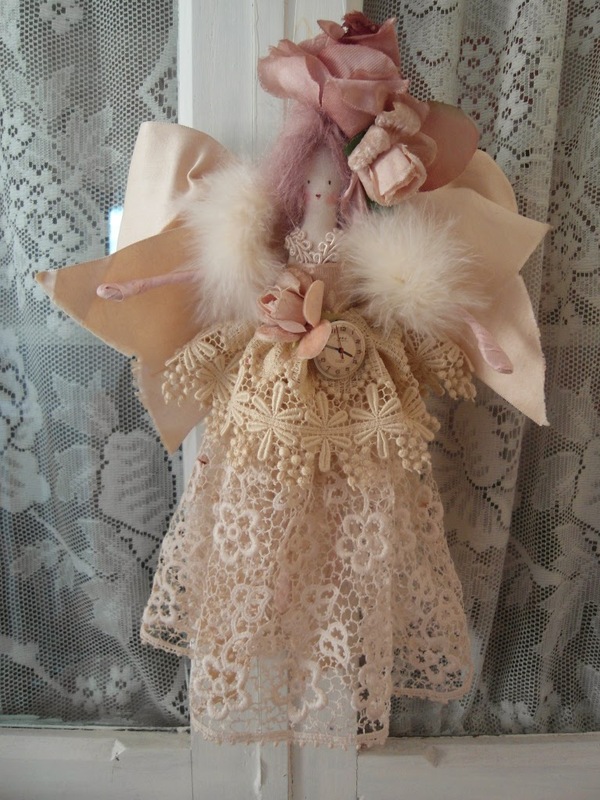 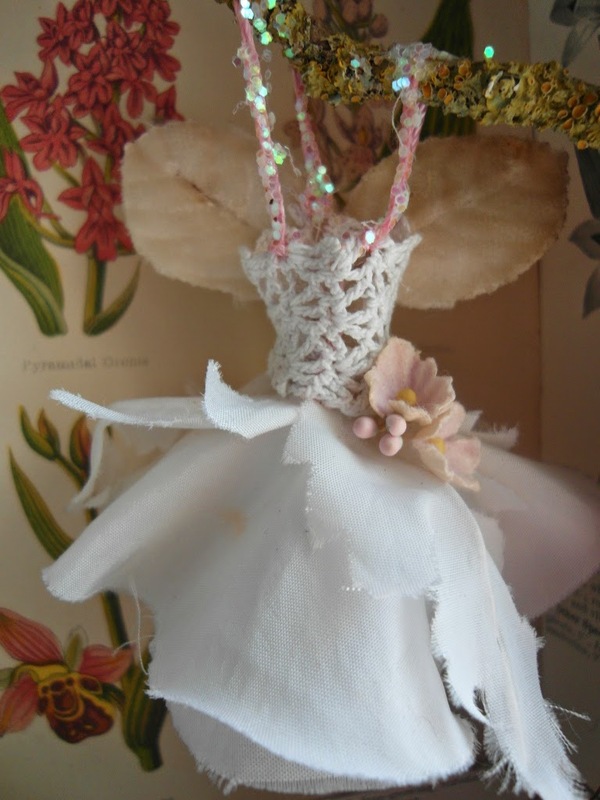 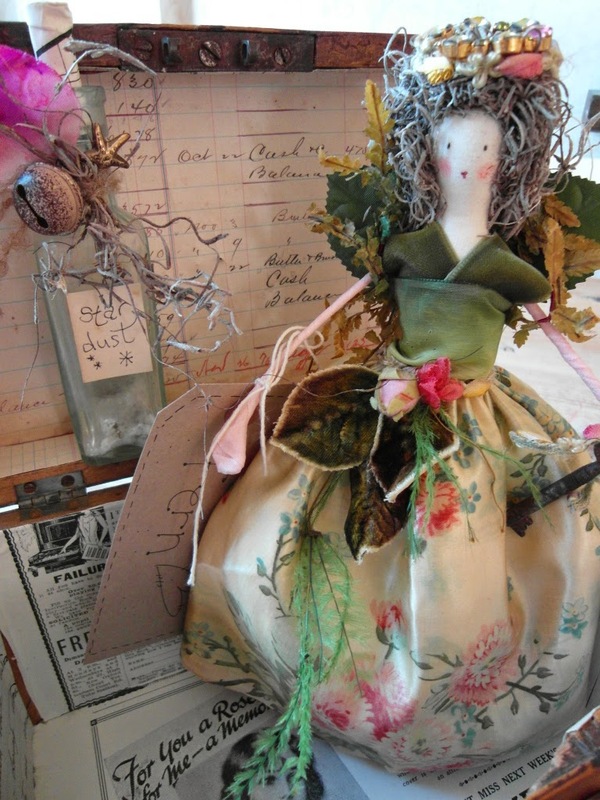 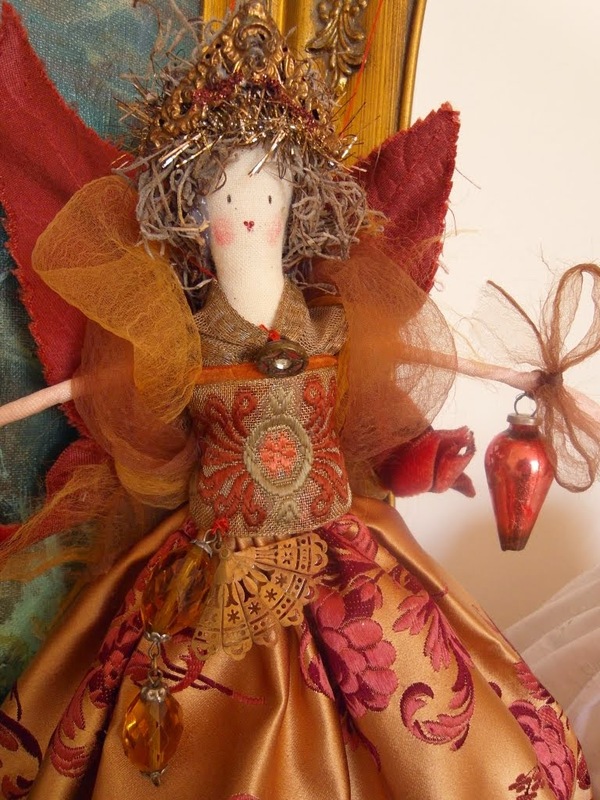 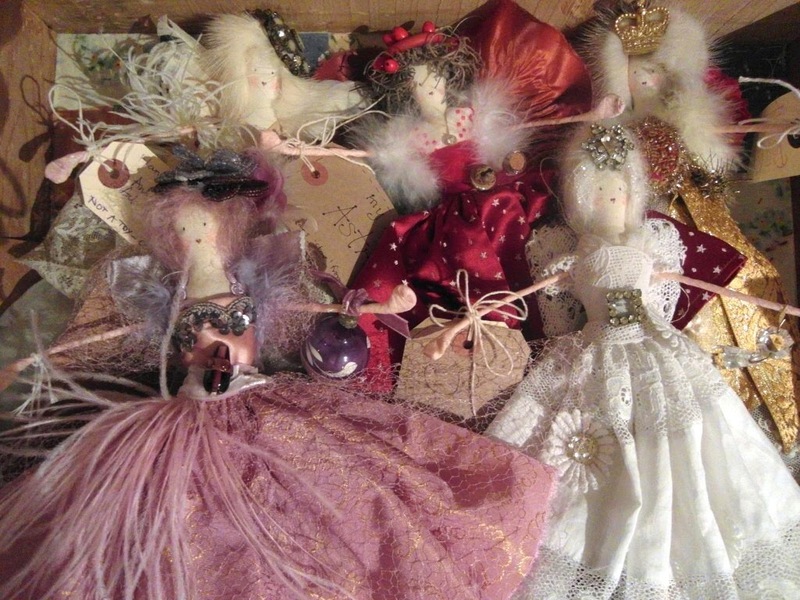 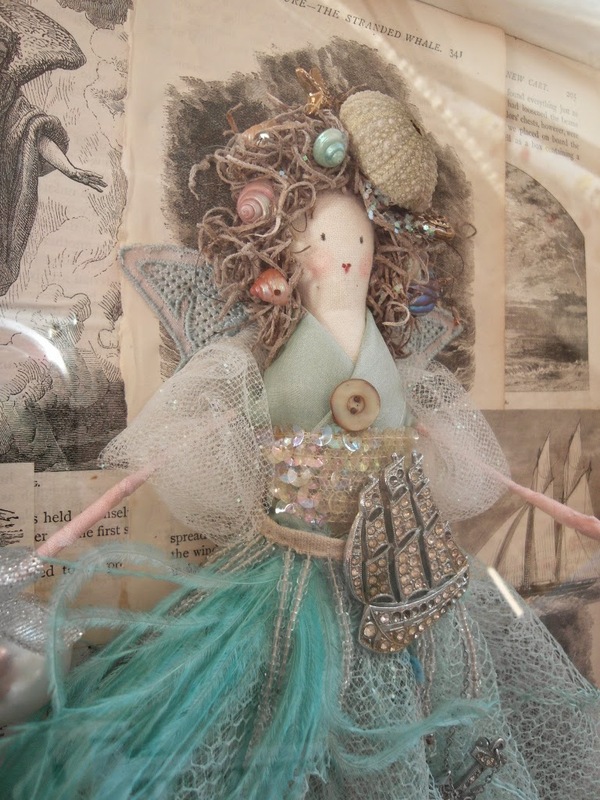 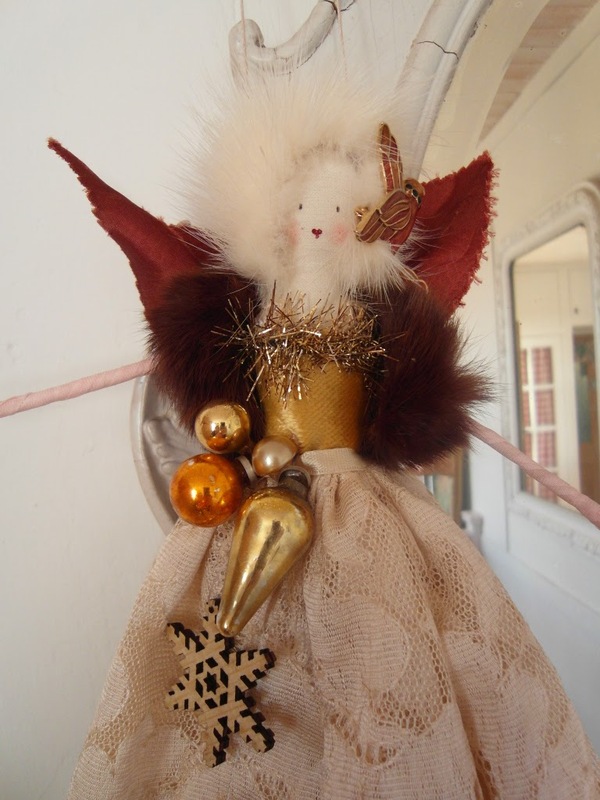 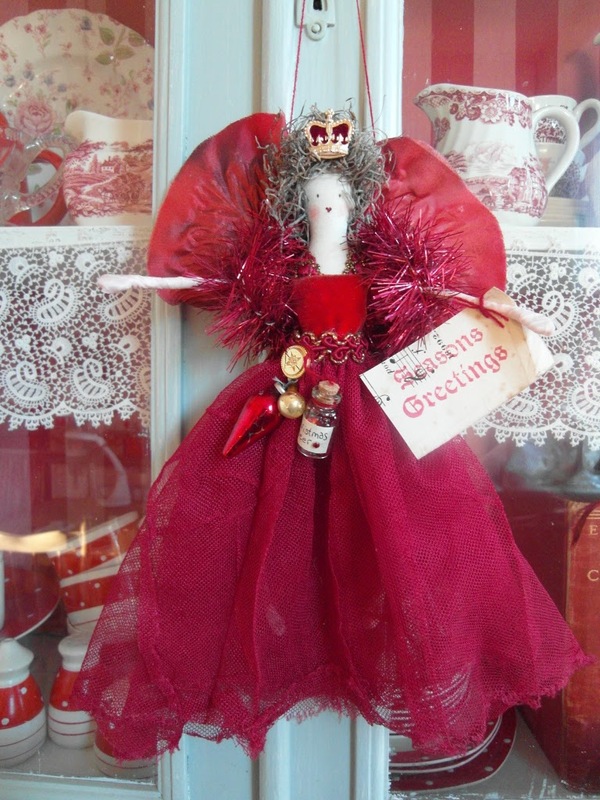 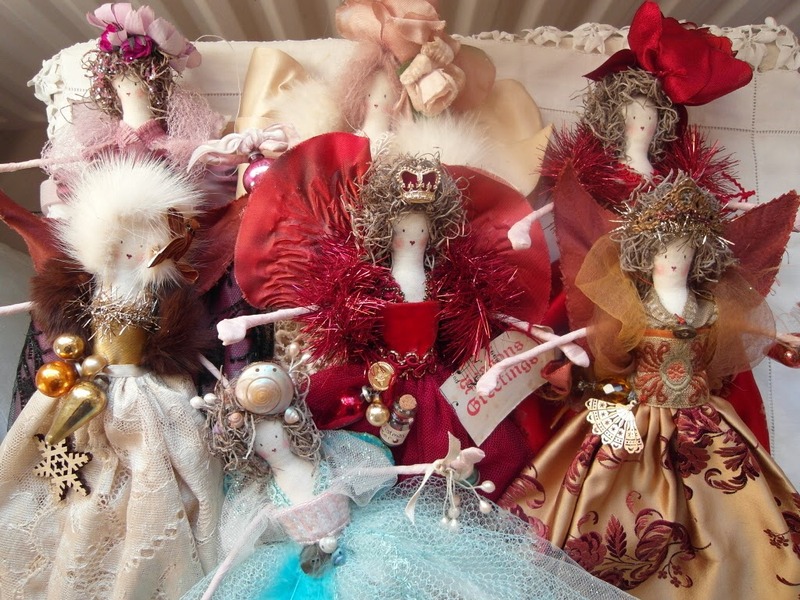 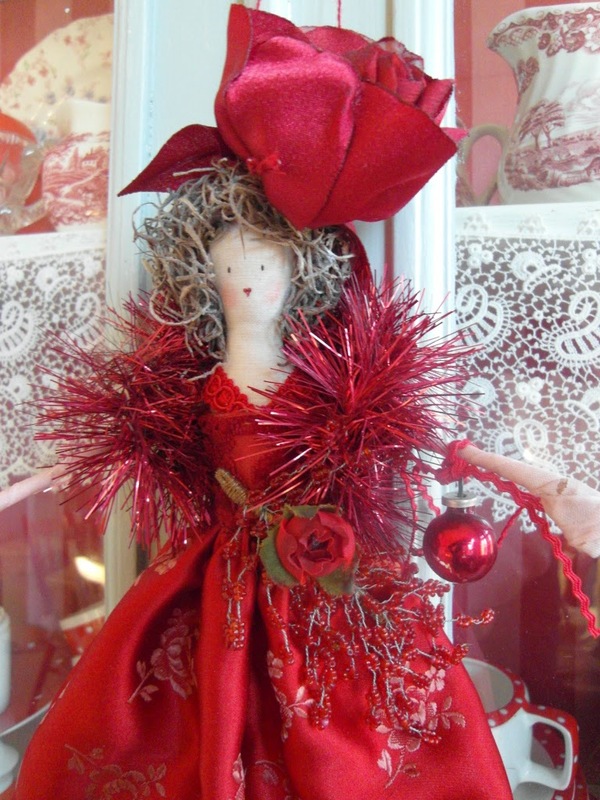 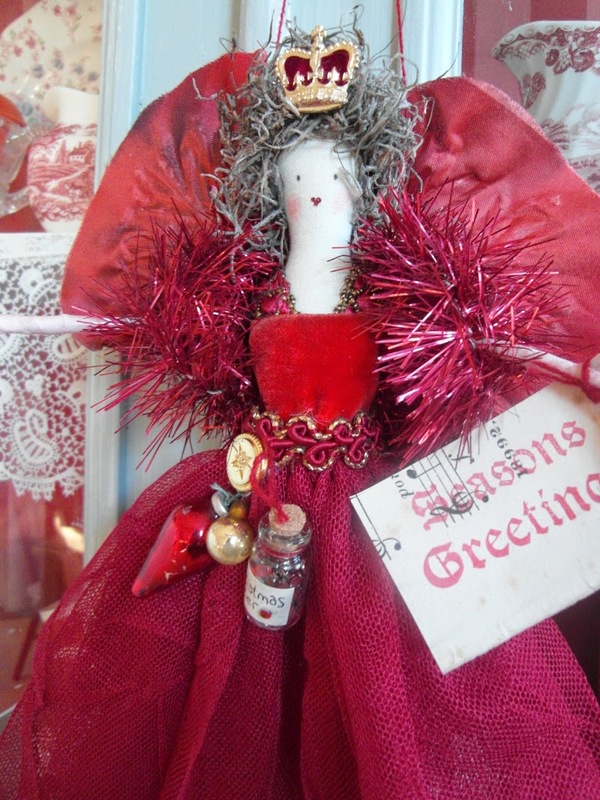 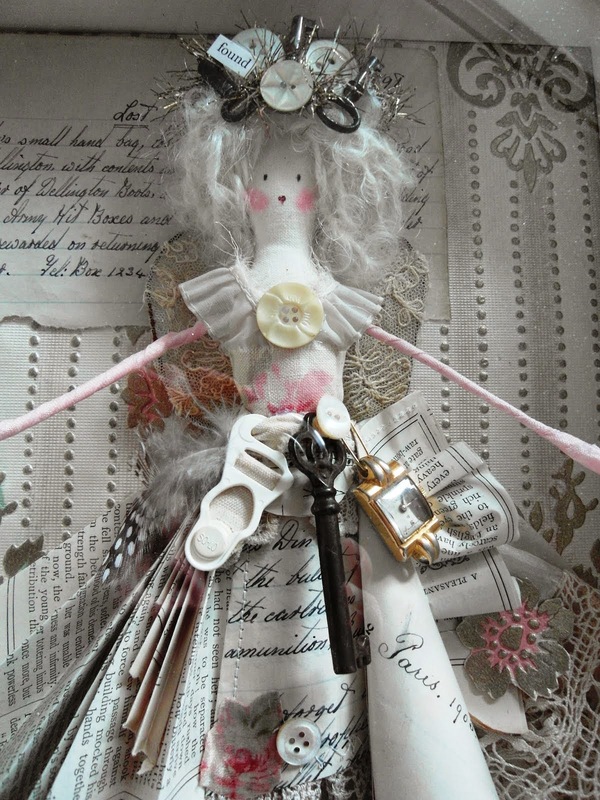 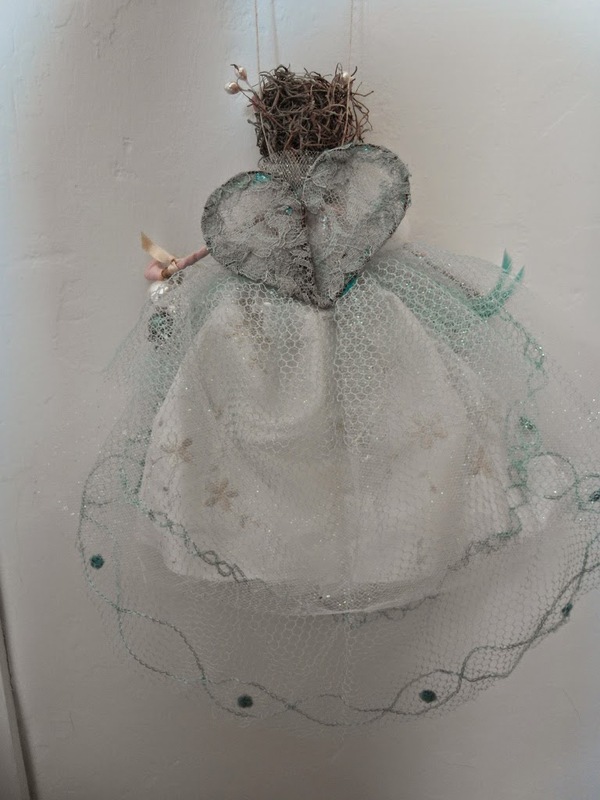 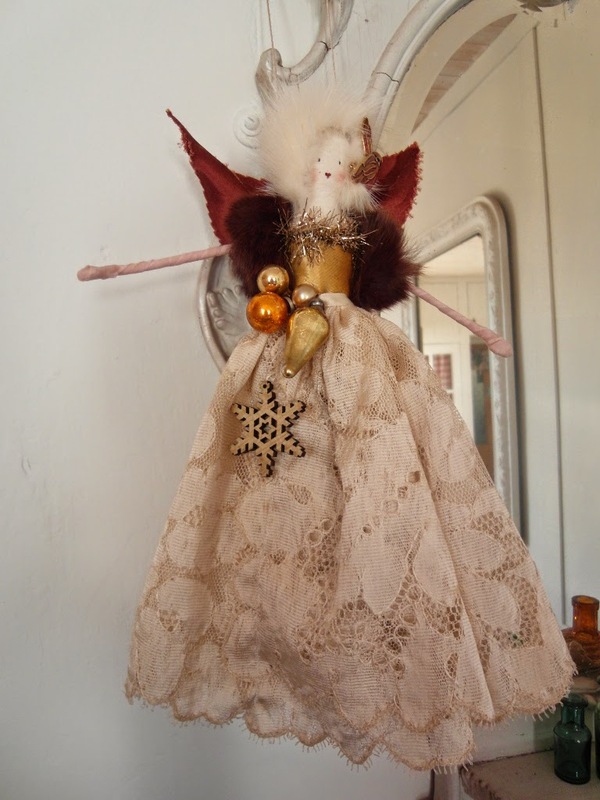 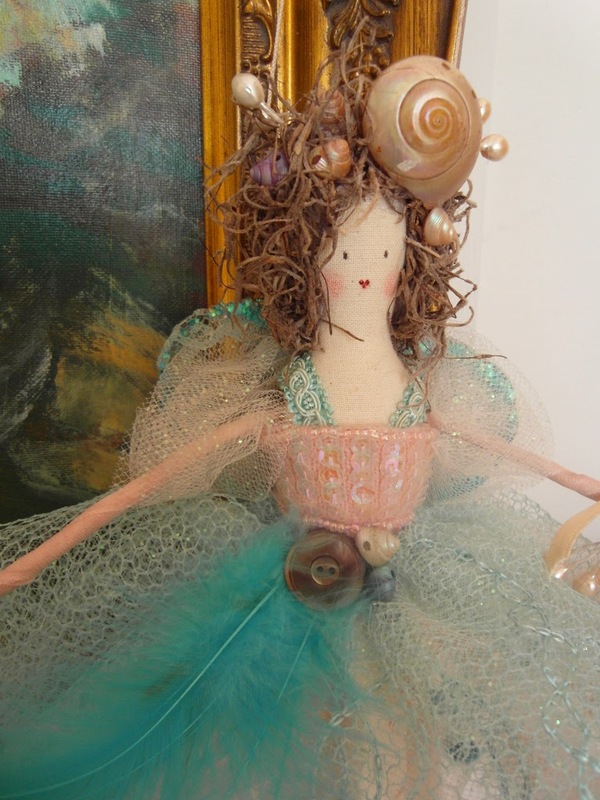 Here are some of my handmade fairies made especially for this event - All are dressed in carefully chosen vintage and antique textiles and trims, making them true one-off pieces. 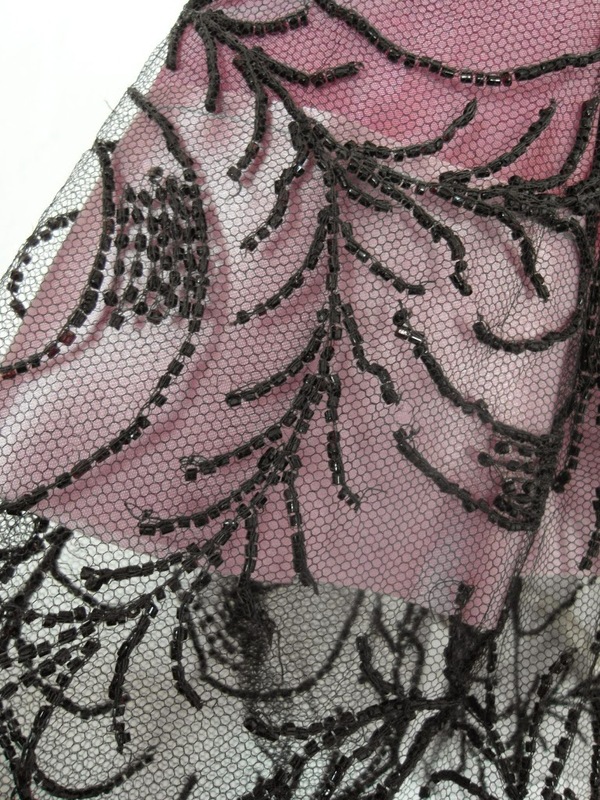 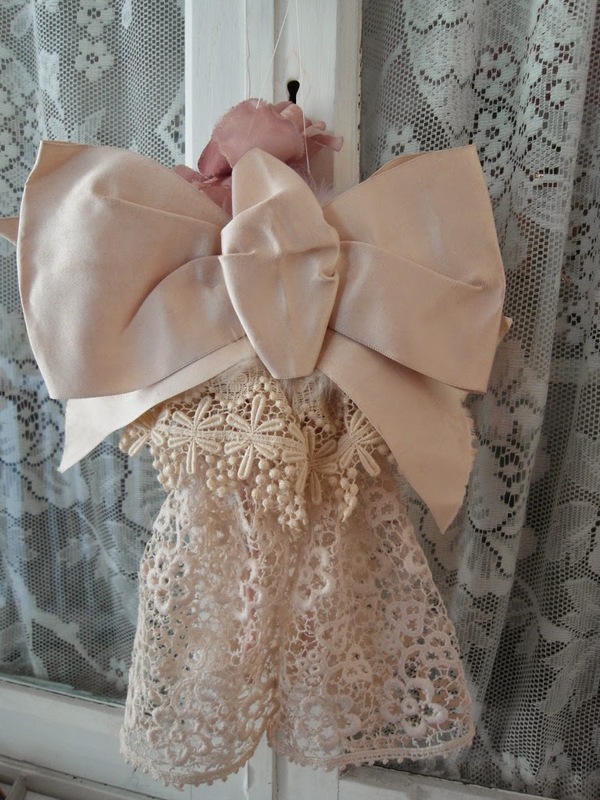 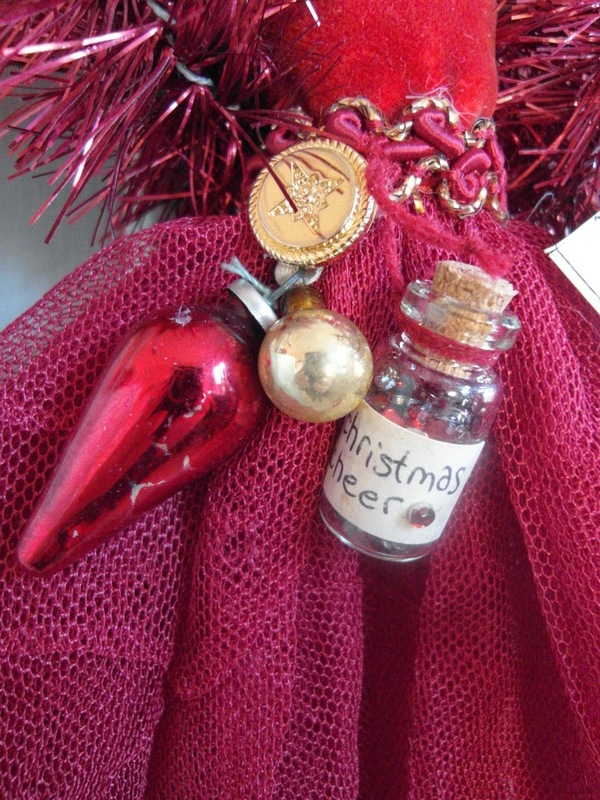 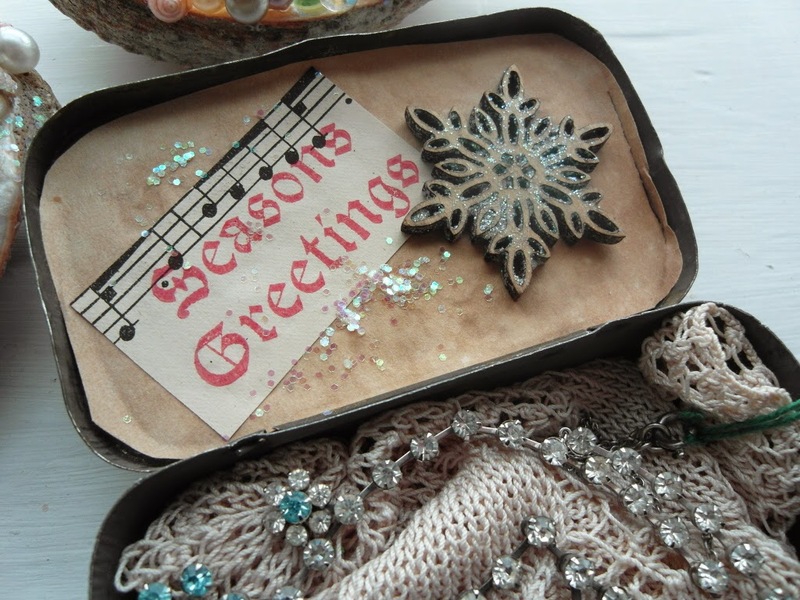 Beautiful heirlooms for the festive season and beyond. 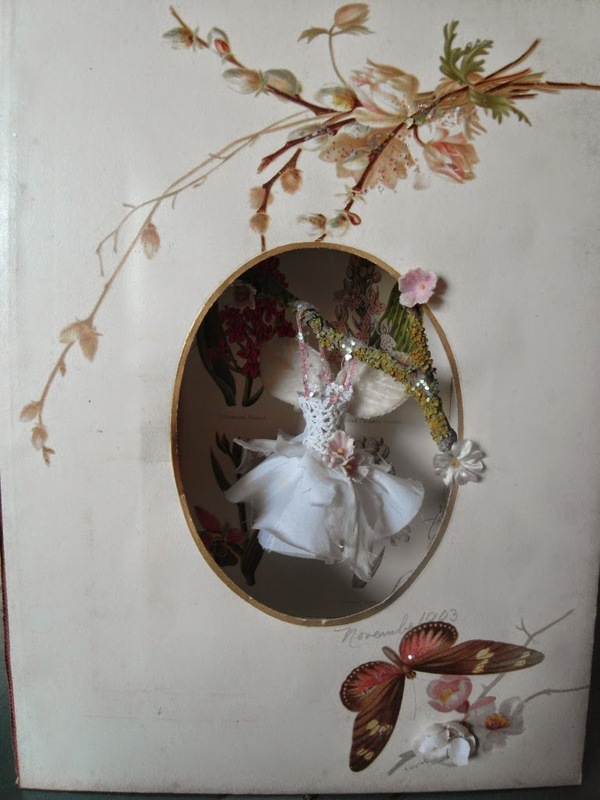 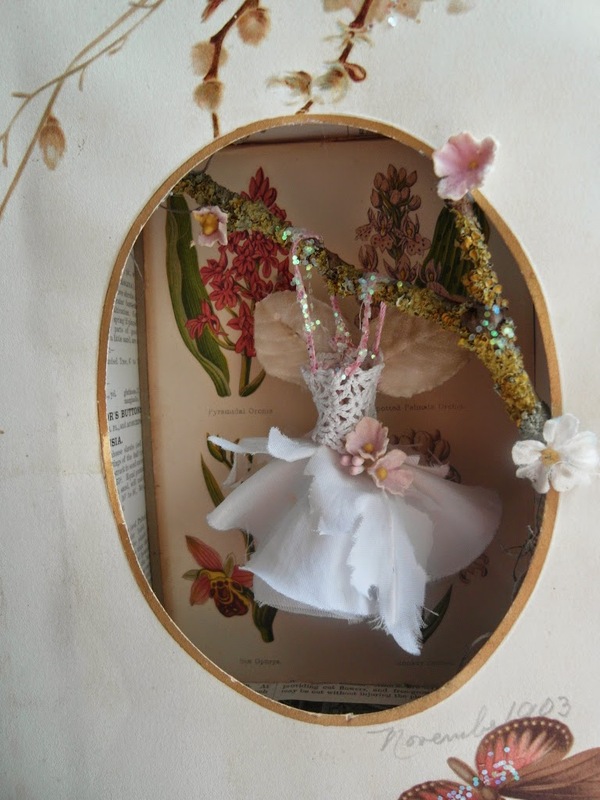 I made another Victorian photo mount box frame, with fairy dress displayed inside. 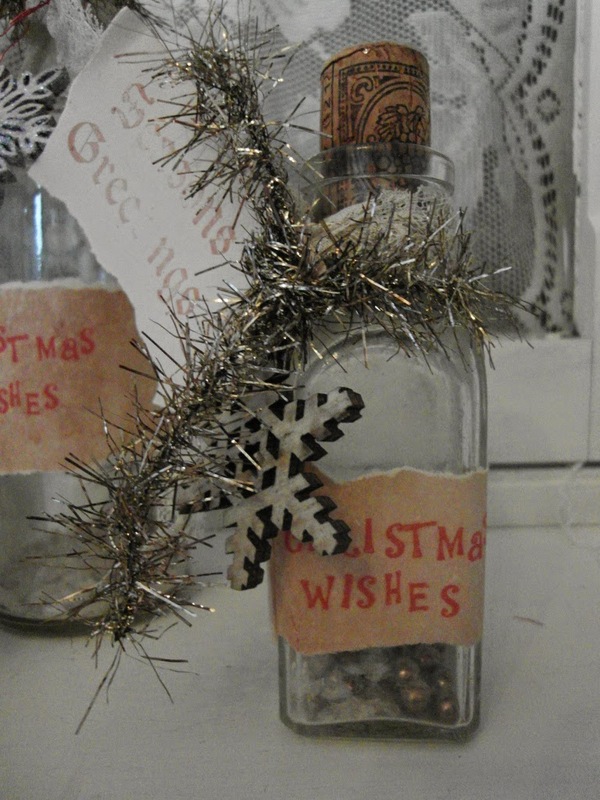 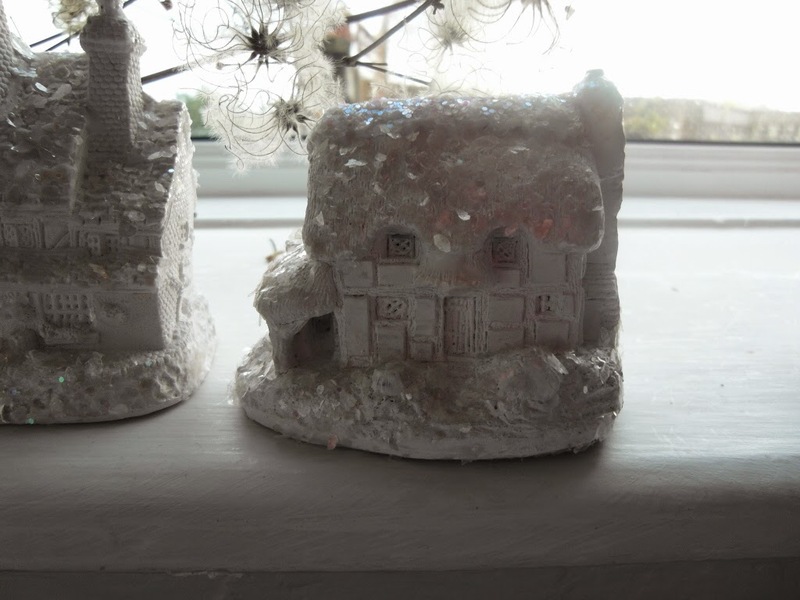 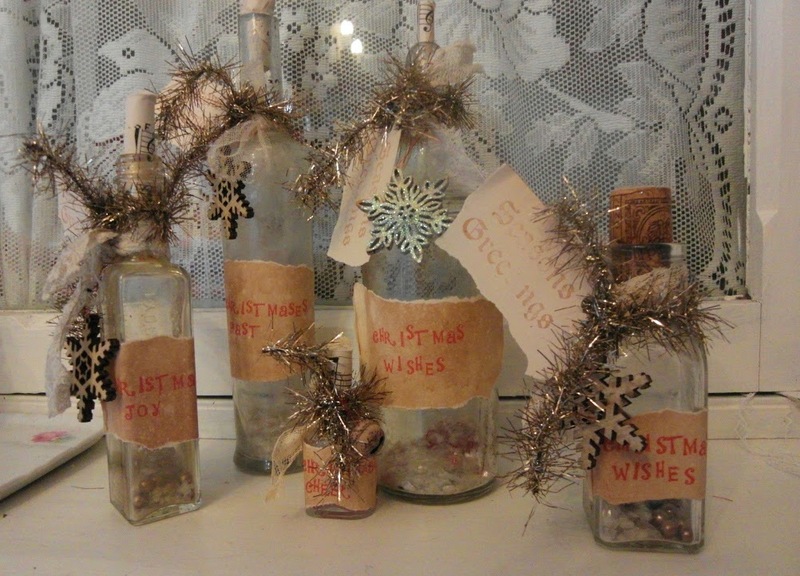 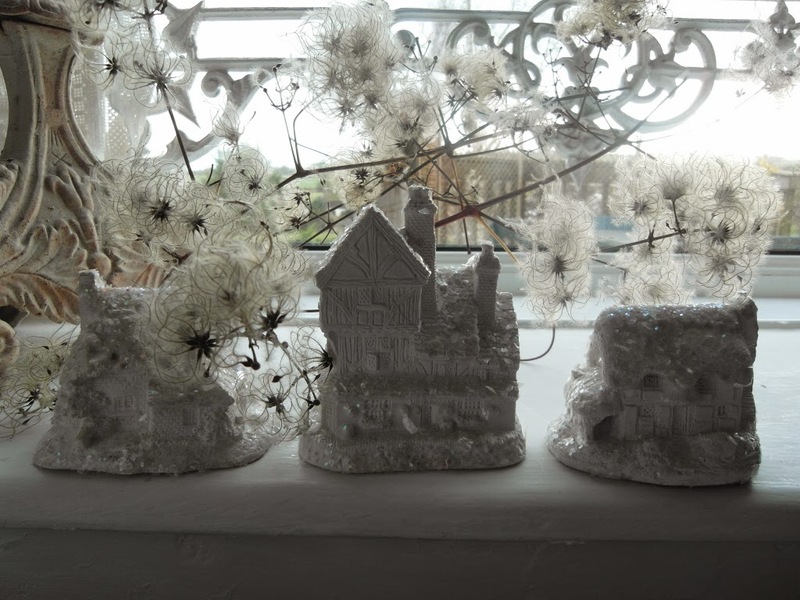 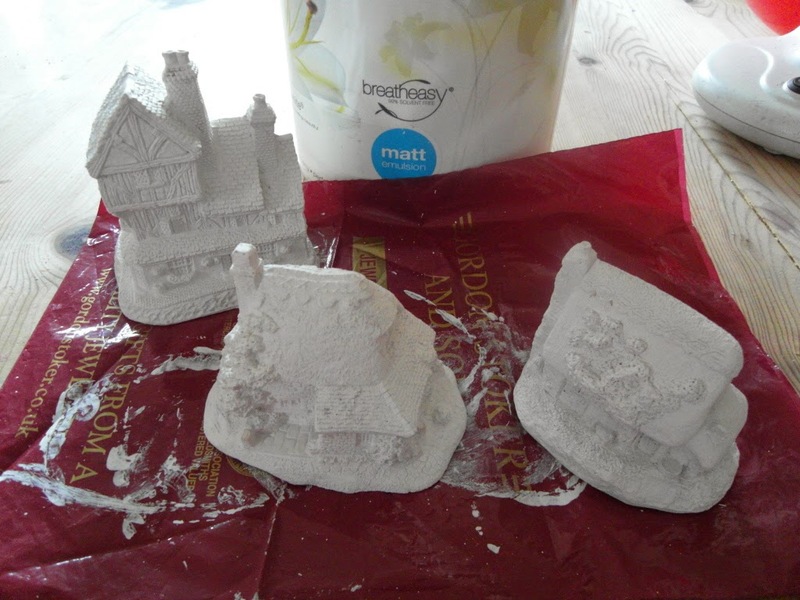 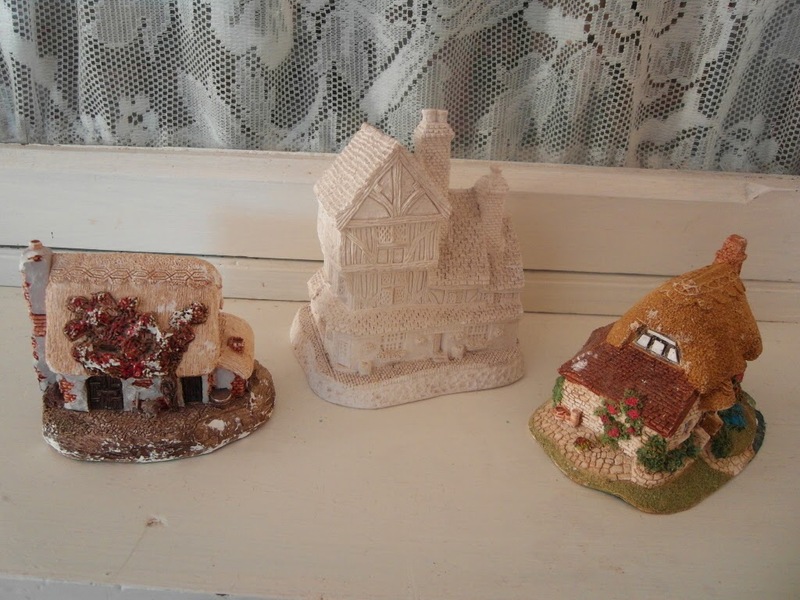 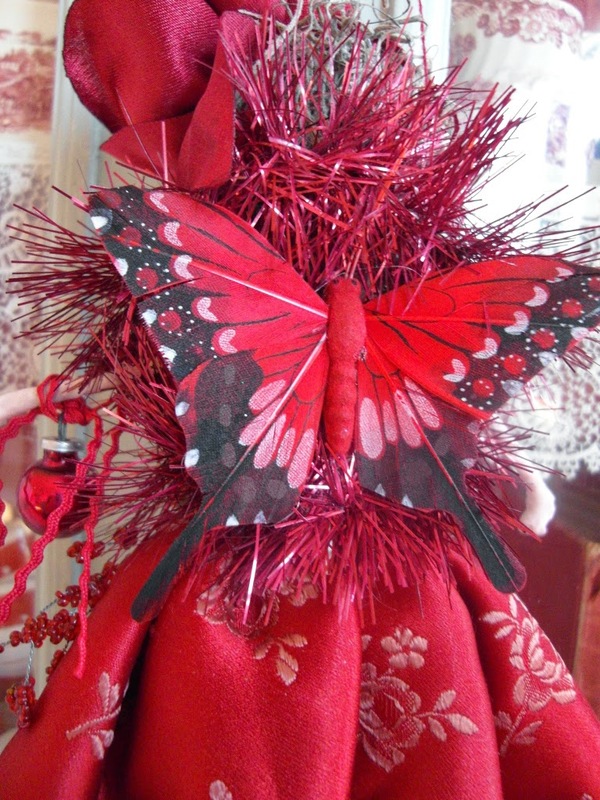 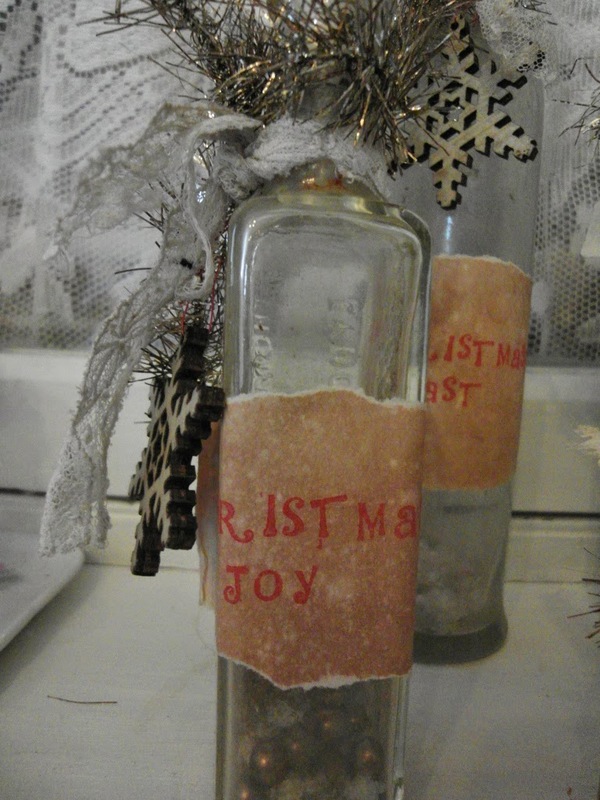 As shown on my Facebook page, these little bashed and chipped cottage ornaments were in need of a face-lift. 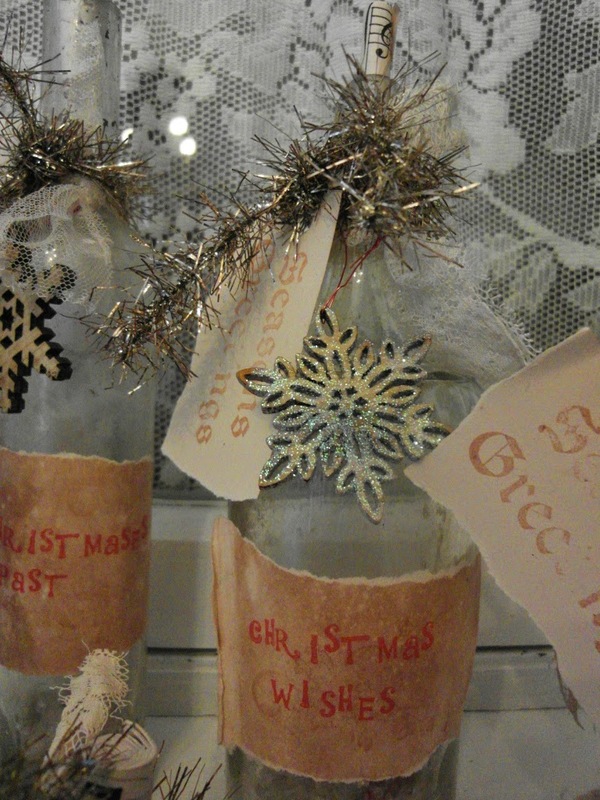 Once dry, I simply dabbed with glue and sprinkled them with mica glitter. 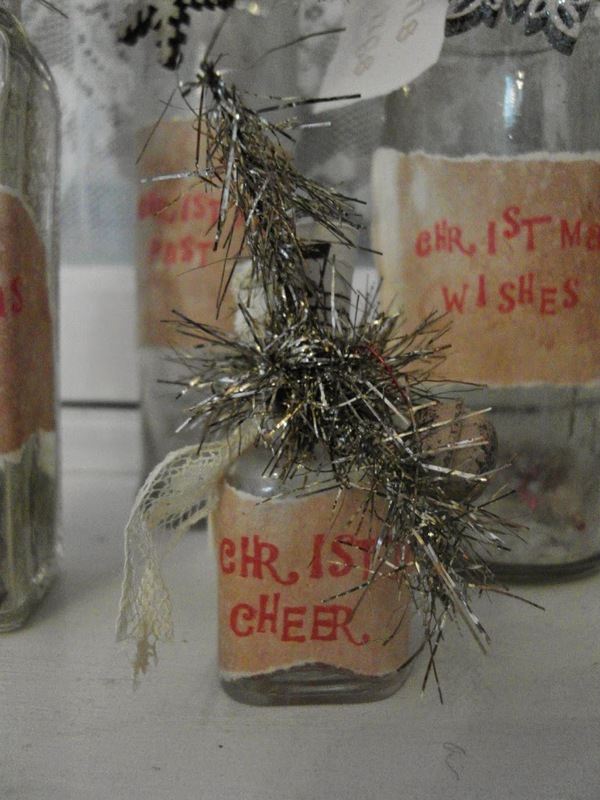 and labelled and dressed for the festive season. 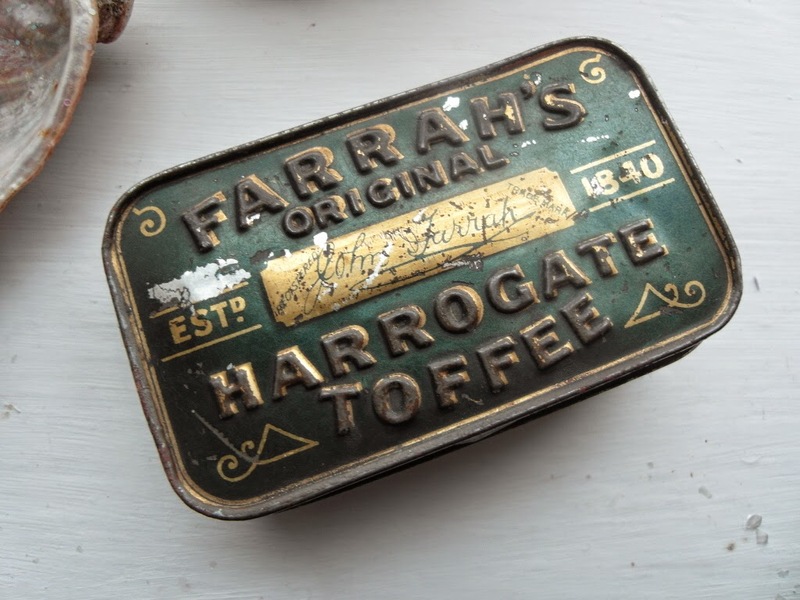 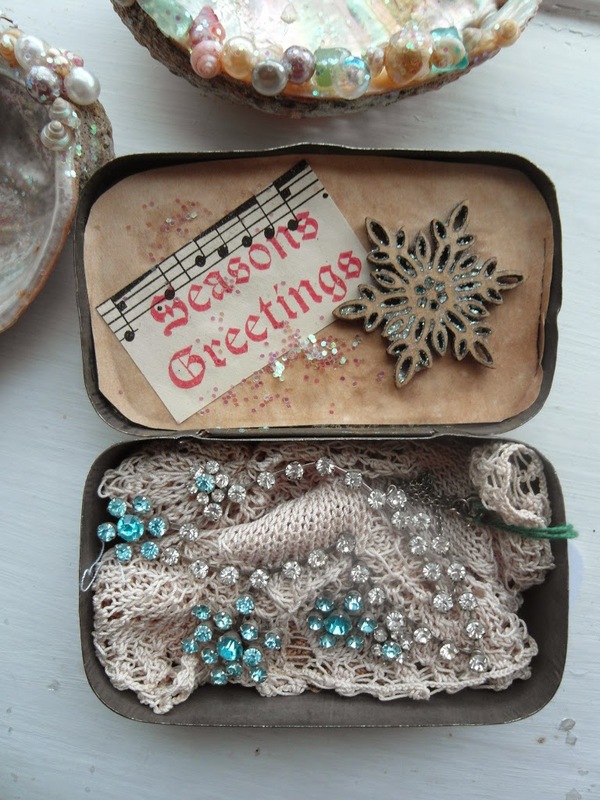 A diamante necklace in an old tin that I decorated. 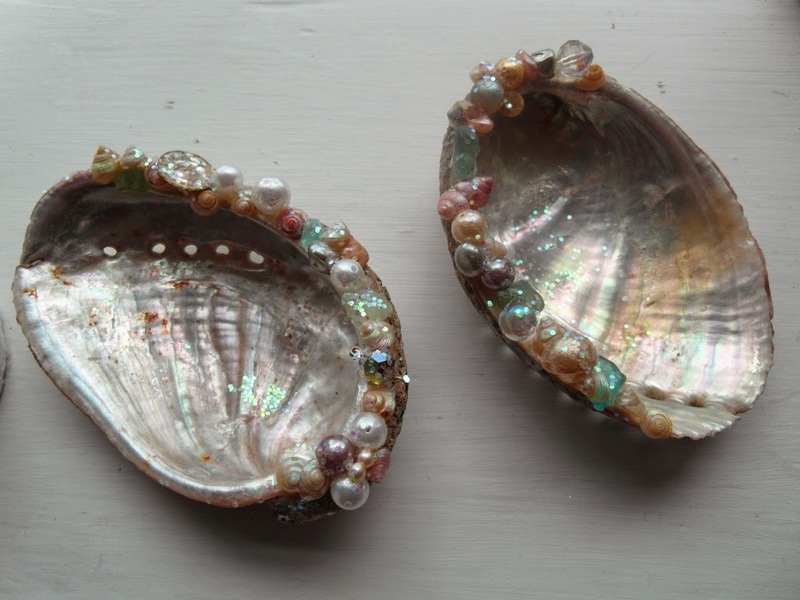 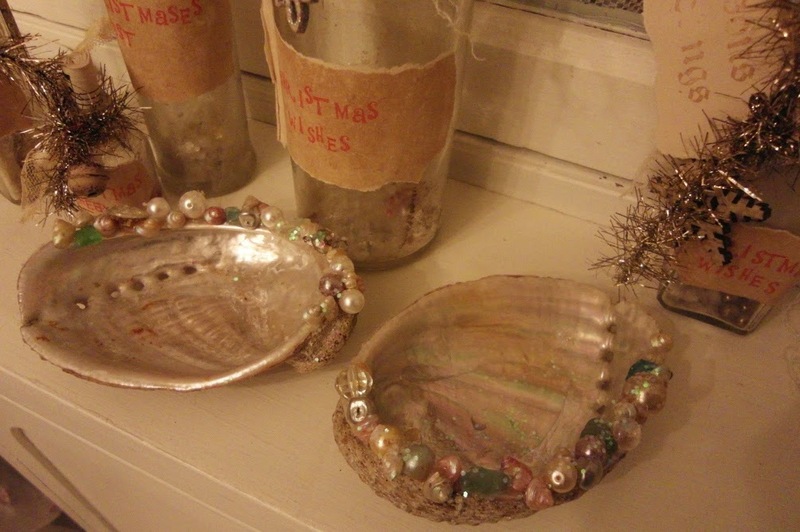 And I added a little fairy sparkle to two abalone shells. 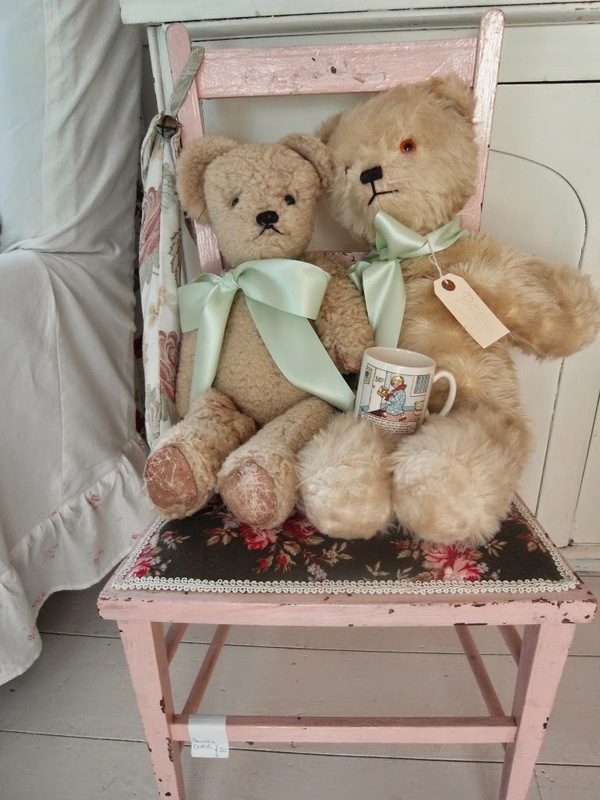 I've also been collecting some lovely vintage pieces to really fill-up my stall. 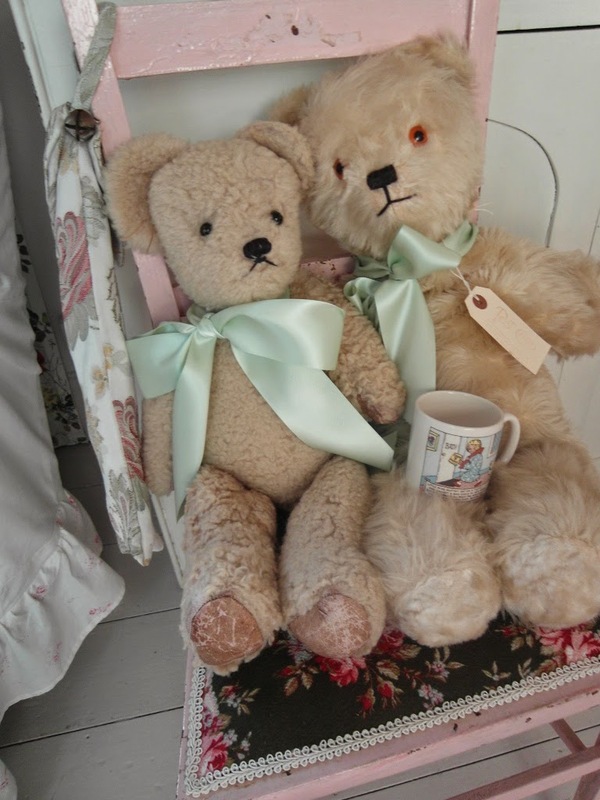 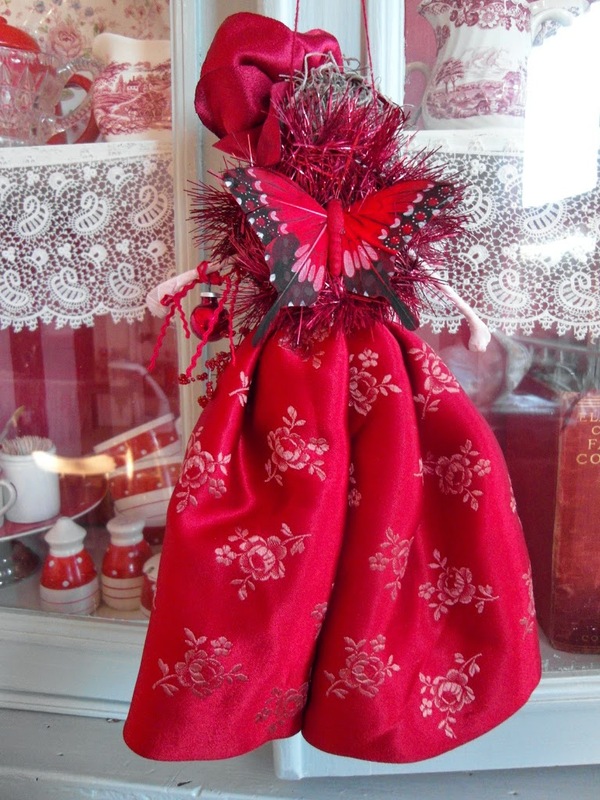 The sweet fluffy teddy on the right is a nightdress case - he'd make a wonderful gift with a pair of pyjamas tucked inside. 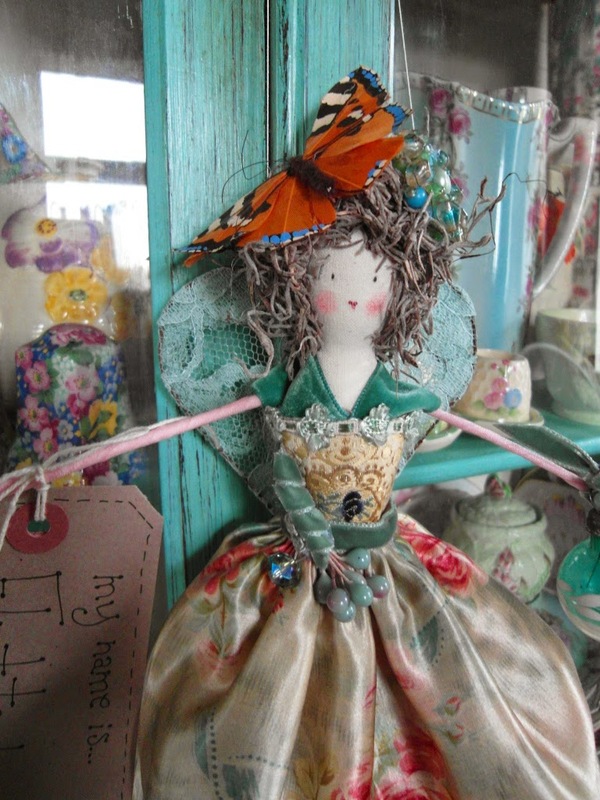 Have a wonderful weekend, whatever you have planned! 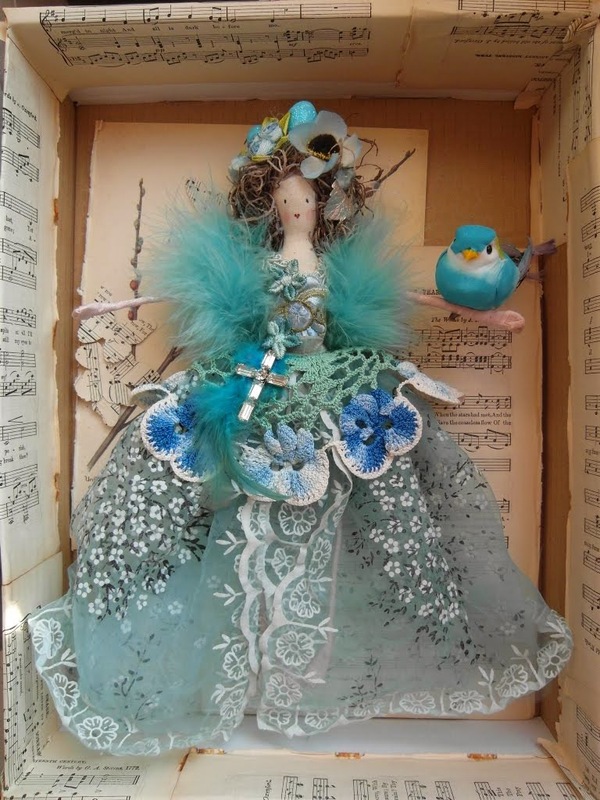 If only.... Periwinkle fairy is my preferred, so gorgeous. 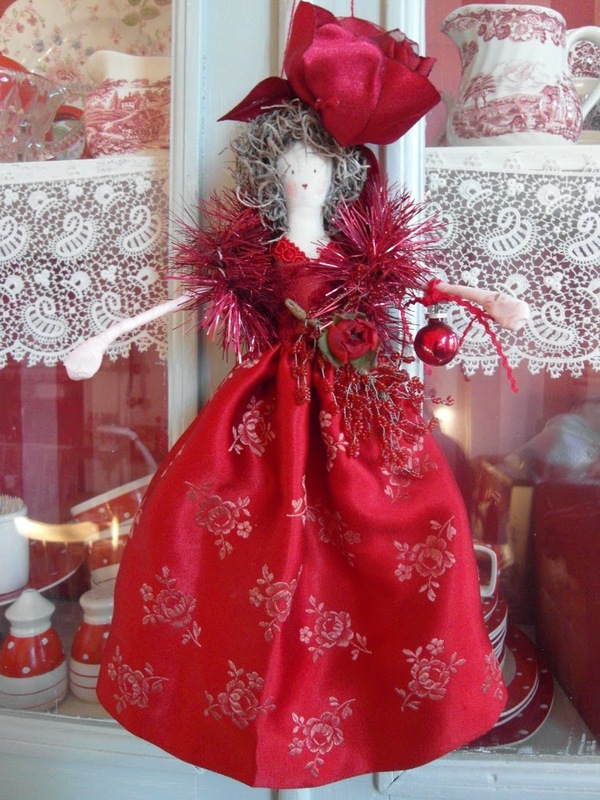 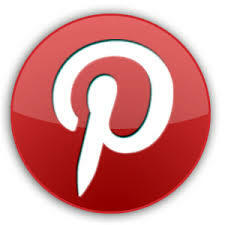 Niki, I wish you a great day and plenty of sales! 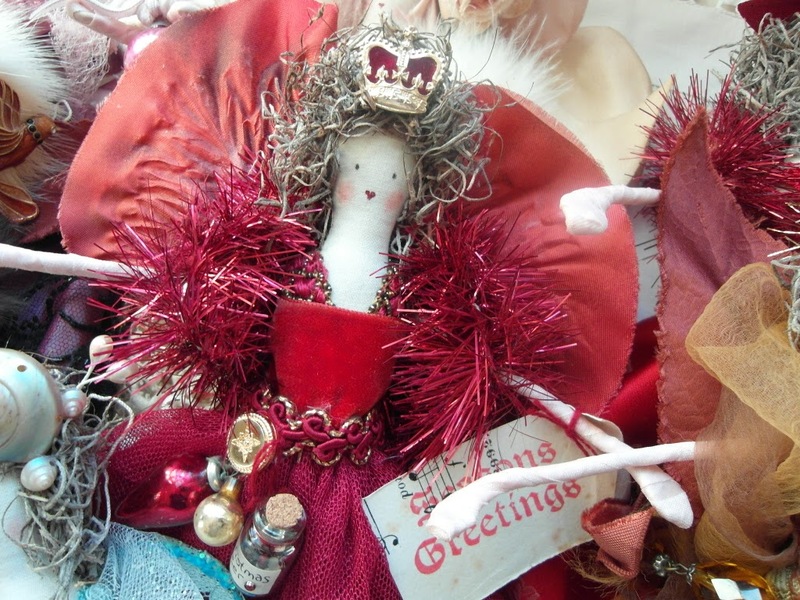 Wow - everything is lovely - wish I could be there!